Going on a countryside break needn't mean being far from the city. 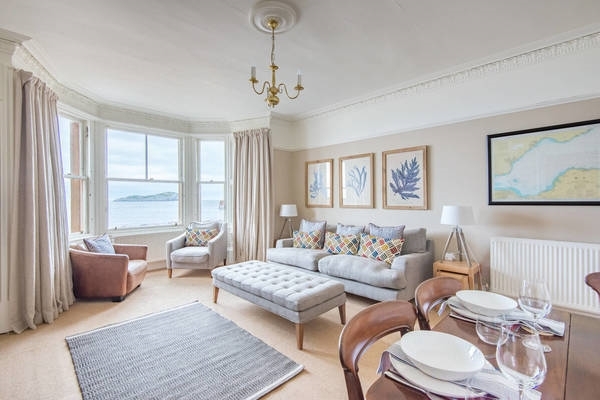 With these stunning places to stay near Edinburgh, you can enjoy all the peace and quiet of the country whilst being an under an hour's drive of the city (timings and distances are estimated from Edinburgh city centre). Once your countryside holiday begins you can enjoy beautiful surroundings, city day trips and discover all the great places to visit near Edinburgh. 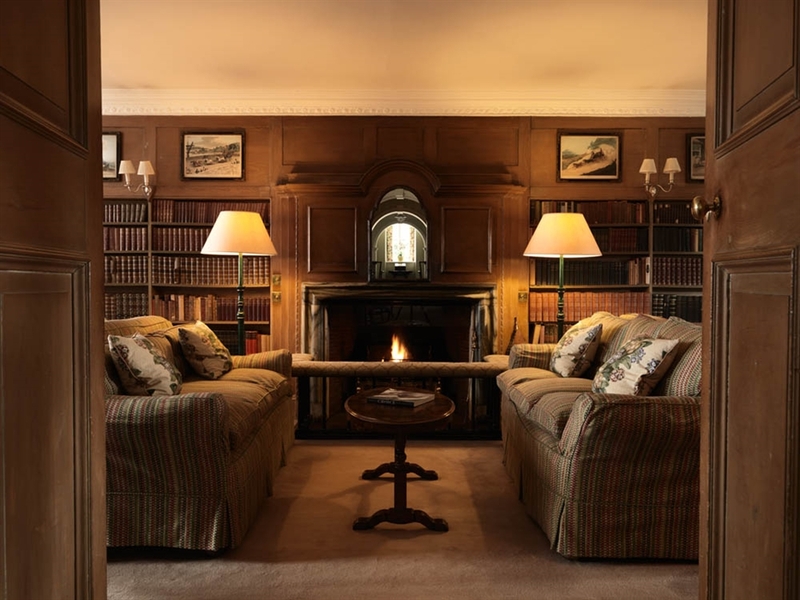 The charming 3-star Allan Ramsay Hotel is named after the Scots poet Allan Ramsay (1684 - 1758), and is located just 15 miles (24 km) from Edinburgh on the edge of the Pentland Hills Regional Park - perfect for an overnight trip from Edinburgh. The book-lined bar, traditional beamed ceilings and relaxing beer garden of this historic inn all create a quintessentially country feel. See more hotels in Midlothian. The largest of the Crosswoodhill Farm Holiday Cottages, Craigengar Lodge sleeps a maximum of 18 people, making it perfect for a large gathering of family or friends. A stunning, contemporary 5-star lodge, it is peacefully situated on a farm in the Pentland Hills Regional Park, just 18 miles (29 km) from Edinburgh. Search all accommodation in West Lothian. 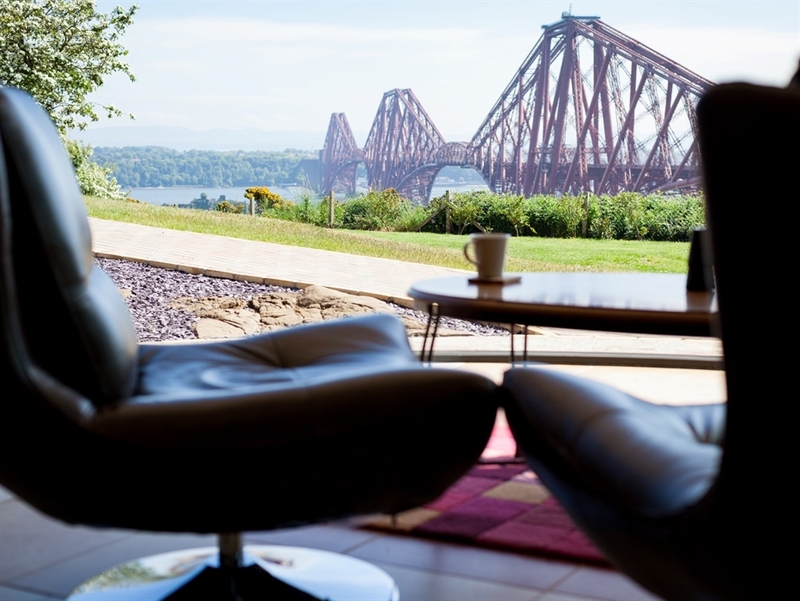 The biggest draw to staying at Forth Bridges View is, quite rightly, the unrivalled views offered of the Forth Bridges - but that's not the only plus. Just 14 miles (23 km) from Edinburgh and sleeping 10 people, this luxurious pad combines sleek modern design with a Scottish twist. Explore all accommodation in Fife. Although it's only 10 miles (16 km) from Edinburgh, Glampotel Dundas Castle feels like another world. Dotted amongst the castle's delightful grounds you'll find luxury canvas cottages featuring wood burning stoves, en-suite bathrooms, a private wooden deck and much more. 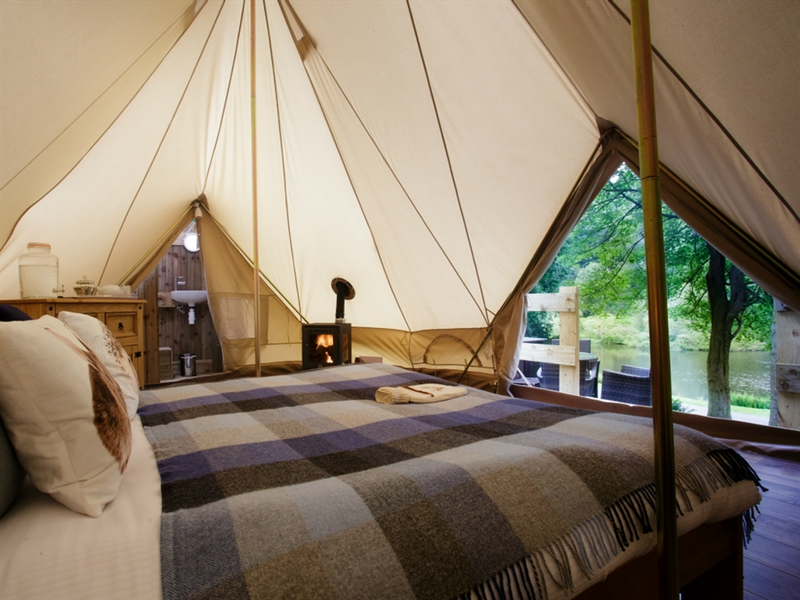 See all glamping accommodation in Edinburgh & The Lothians. Travel 37 miles (60 km) west of Edinburgh to stay in Glenskirlie House & Castle. This is a splendid venue for a wedding or special event, and it's also possible to book the uniquely decorated rooms individually, as part of a package including a meal in the award-winning restaurant. View all accommodation in Stirlingshire. Golfers in particular may find Greywalls Hotel and Chez Roux enchanting, as it overlooks the golf course at Muirfield. In total, you'll find ten courses within five miles of the hotel. An Edwardian country house just 20 miles (32 km) from Edinburgh, this 5-star hotel is also home to a luxurious Chez Roux restaurant. 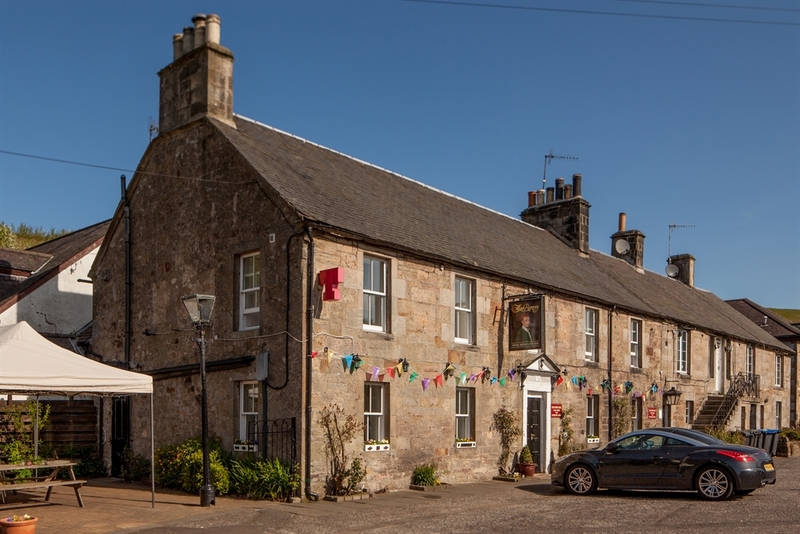 Find a hotel in East Lothian. Nestled in the leafy Tweed Valley, 24 miles (39 km) from Edinburgh, Kingsmuir House is a 5-star Gold B&B set amongst landscaped grounds. Expect grand Victorian features, luxury suites and a breakfast menu abundant with locally sourced dishes. Nearby, the 5-star Windlestraw provides exquisite hotel accommodation. 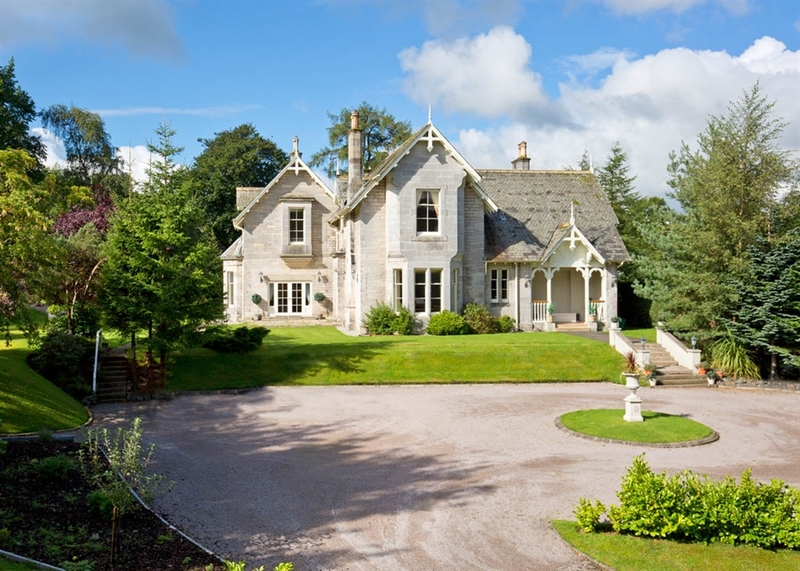 Discover more accommodation in the Scottish Borders. Sea views and beach days await at Vale End, which accommodates four guests and overlooks West Beach. Tastefully decorated and featuring a luxury shower room, this 4-star apartment is an ideal home from home. North Berwick is 25 miles (40 km) east of Edinburgh, and is the perfect place for a seaside break. Explore all self-catering accommodation in East Lothian.